Nashville, Tenn. – June 15, 2011 – Griffin Technology Inc., one of the world’s foremost creators of innovations for everyday life, and Dijit Media, a San Francisco-based software company whose Personal Media Assistant App software integrates consumers’ media viewing experience with their smart devices, have partnered to create Beacon™ Universal Remote Control System – a wireless AV controller that when paired with an iOS device enables complete control over the entire home entertainment system. Beacon, $79.99, is now shipping and available at The Apple Store and on www.griffintechnology.com. Dijit’s Universal Remote App, a free download, can be found on The iTunes App Store. Founded on Paul Griffin's kitchen table in 1992, Griffin Technology Inc., is today one of the world's foremost creators of accessories for home, mobile and personal technology. Unique products such as iTrip®, PowerMate®, iFM®, iMic® and Evolve® Wireless Speaker System have broken new ground in consumer electronics and created loyal fans the world over. Today, Griffin products are conceived, designed and developed in-house, and continue to push the envelope of the industry they helped create. Learn more about Griffin's entire range of ingenious designs at www.griffintechnology.com. Follow Griffin Technology on Facebook (www.facebook.com/griffintech) and on Twitter @griffintech. Dijit Media is the only company that that provides consumers with the ability to control, discover and share their home entertainment experience, no matter where they are. Dijit’s Personal Media Assistant application runs on iPhone, and can be used in conjunction with all cable and satellite providers as well as new content providers like Netflix, Amazon and Hulu in early 2011. 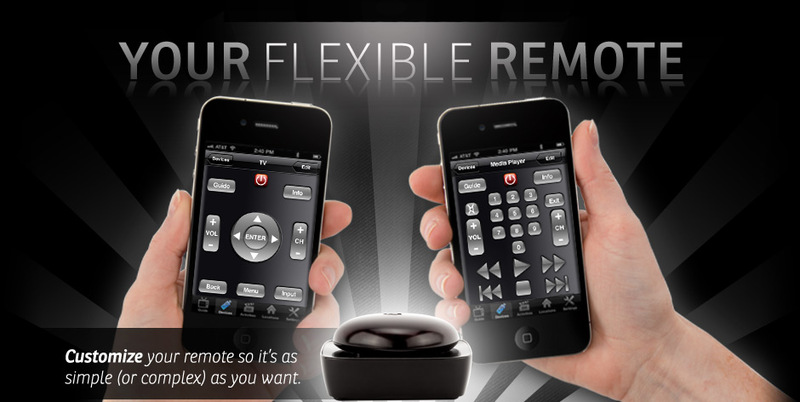 Founded by entrepreneur Maksim Ioffe, the company’s first product, the Dijit Universal Remote App is now available for download at www.dijit.com. Dijit is based in San Francisco, with partners nationwide.